I have been teaching a very long time and in a wide swath of this country. I taught math to middle school students who were attending a special school due to severe behavioral and emotional problems. I taught developmental psychology, creating one of the first online courses ever offered at a tribal college, back in the 1990s. I currently teach multivariate statistics to graduate students. Because I am working on 7 Generation Games, I only teach one course a year, but I think it’s important that some of us involved in creating the game are in a classroom or working with kids, now, not 20 years ago. Yes, our games are tested in classrooms every day, but it’s important to me personally to keep in the forefront those challenges teachers face and have to use technology to address those. I’ll give you one example – every good teacher tries to connect with his or her students in a personal way. This is particularly true of middle school students. If they think you don’t like them, you can kiss all learning goodbye. On the other hand, if they like you, they’ll go a long way. In college, if you can make what you are teaching meaningful to students personally, they will remember and retain a lot more than if it is disembodied knowledge. When I was teaching for Cankdeska Cikana, online courses were brand spanking new to tribal colleges. Today, if you saw the web pages I created for that course, you would probably laugh. However, remember, it was the 1990s and some professors simply made a PDF of their syllabus and uploaded it to the web. A lot of those early efforts were truly terrible by any standards. I think mine wasn’t too bad – but it was static and asynchronous, which was all that was feasible at the time. Students read the web pages, did the assignments and we emailed back and forth. How can you make something like that personal? Well, as you may have gathered, I’m somewhat of a private person. I may write a lot but seldom is it related to my personal life. During this course, I was pregnant with twins and I miscarried one of them. The other is now the world’s most spoiled college student. 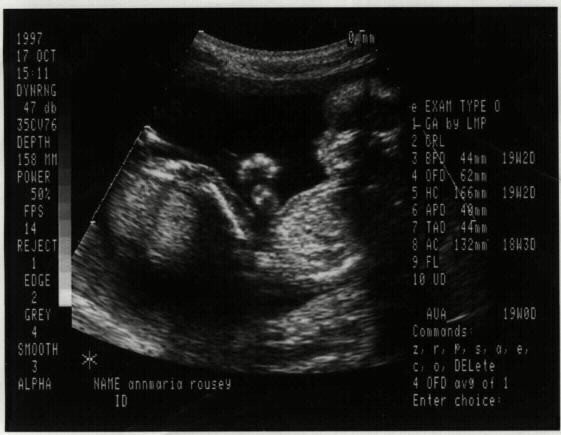 When it came to the section on prenatal development, I posted a picture from a sonogram with one empty sac and one with a baby. I wrote about the statistics on miscarriages and spontaneous abortion and related it to my own experience. I never would have done that in a face to face course and the reason I did it, in part, was so that those students could see me as a real person. Perhaps it was also to come to accept losing the second baby I did not even know I had (I didn’t know I was carrying twins until I went to the obstetrician and found out I was still pregnant.) I haven’t really talked about it much since. I told you I was a private person. Veering back to the topic – my point is that technology can change the way we teach. It’s also that, for most people, the lessons you learn in front of the classroom – the need to connect personal, the dizzying array of individual differences, the lack of infinite time to meet all of the needs of your students – fade the further away you get . So, that is one reason I still teach one course a year while running a startup. Now, I have to get back to debugging so we can submit the first build of AzTech: The Story Begins tonight. If you want to be one of our beta testers, email info@7generationgames.com and you’ll get an email as soon as Apple releases it for testing.